So, am I going to build a bark canoe? Probably not. Would I like to? Yes, I would actually. Working with my hands isn’t something I’ve done since my youth, and even then it was mostly manual labor jobs. But in some odd way I miss those too. I loved this book for one reason. John McPhee is a GREAT writer. He can turn ANY story into something you can’t put down. Now, this is a book about canoes, as the title would suggest, but it’s also about Native Americans, nature, water, moose(or lack of) and its also about human nature. 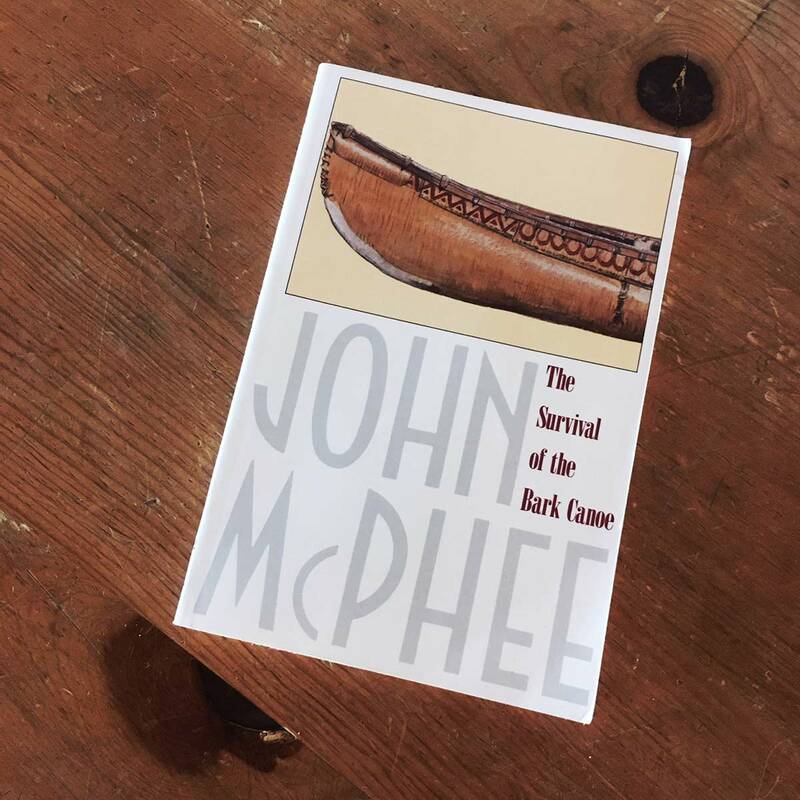 Survival of the Bark Canoe follows the life’s work of one Henri Vaillancourt who does nothing but make bark canoes, by hand, one at a painful time. Now, it’s far from painful for him, in fact it’s a singular life purpose, but for you and I it would surely be the end of us. The author, Mr. Vaillancourt and a few others, eventually head out on a long voyage, via canoe, which turns out to be more than anyone expects. The first paragraph on page 108 is worth buying this baby. I’m not going to share it here because it would not be kind to the author to do so, but I read and reread the paragraph many times. This one block of copy speaks to McPhee as a writer, and observer and someone with a good sense of humor. It is for this reason my next two books are also McPhee’s.